For months, the Kenyan security forces have been rounding up ethnic Somalis in Nairobi. This is part of a security operation (Operation Usalama Watch) which presumes that terrorists in Kenya are solely of Somali origin. This presumption is wrong and is a clear manifestation of the decades-long discrimination of Somalis and other Muslims in the country. The discrimination plays into the hands of Al-Shabaab, which uses stories of Muslim oppression in Kenya to recruit members and justify attacks in the country. Al-Shabaab’s foreign operations arm is heavily populated by members of non-Somali ethnic background; this makes it operationally easier to insert these individuals into Al-Shabaab targets in neighbouring countries. On 15th June, Al-Shabaab gunmen attacked the town of Mpeketoni in Kenya, killing around 60 people. The Kenyan government’s initial response was, for domestic political reasons, to deny that Al-Shabaab had carried out the attack. While the Kenyan government seemed to have been caught off guard and unprepared, Al-Shabaab had warned of an impending attack weeks before it took place. 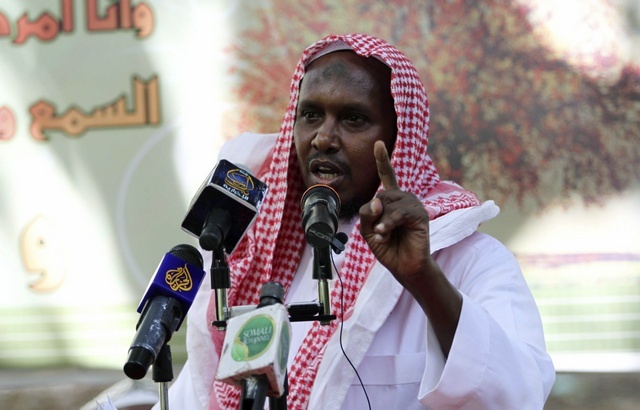 In mid-May, the Emir of Al-Shabaab, Ahmed Godane (Abu Zubayr), called on Muslims in Kenya to rise up and fight the state. He also addressed the Kenyan government, saying that it had made a historic mistake by attacking Al-Shabaab territory in Somalia. This had led to insecurity in Kenya, the bloodletting of the Kenyan army and the resultant weakening of the Kenyan economy. He continued, saying that Kenya should not do “a second stupid thing” by harming Muslim honour and blood in their country, because “The Westgate Operation is not far off from you”. This kind of pre-attack warning falls within the Al-Shabaab practise of publicly referring to such events before they take place. Abu Zubayr released audio messages warning of both the Kampala attacks in 2010 and of the Westgate attacks last year. The above message was a clear warning of an impending high casualty attack and of an escalation of the insurgency in the Somali part of Kenya. On 22nd May, speaking at a rally in Bardhere town in Gedo region where weapons taken from the Kenyans in the Mandera ambush were being displayed to the public, Sheikh Fuad Mohamed Khalaf – a senior Al-Shabab member – called for Somalis and other Muslim people in Kenya to take up arms against the Kenyan state for its suppression of Muslim rights. Sheikh Fuad also tells us that most Al-Shabaab members operating within Kenya are of Kenyan origin and are victims of its government’s policies towards Muslims. Al-Shabaab has been finding it relatively easy to operate in Kenya. It is a fertile breeding ground for support created by the marginalisation of Kenyan Muslims, Kenyan-Somali border is porous and easily negotiated and the Kenyan intelligence and police are seen as being largely incompetent. Contrary to one of the key objectives of the Kenyan invasion – the creation of a buffer zone between the two countries – Al-Shabaab remains active in the border area. While Kenyan troops occupy major towns such as Kismayo, Al-Shabaab controls or has access to the vast rural expanses of southern Somalia. The situational map in the south shows blue dots indicating major cities that are allied strongholds in a sea of green indicating Al-Shabaab control of the countryside. But the cities that Al-Shabaab lost in the March AMISOM offensive are almost all under siege, some garrisons such as in El Bur surviving on airlifts. Al Shabaab has mastered the art of guerrilla warfare following years of fighting invading forces: it chooses only battles that it has a chance of winning, and currently has the initiative in the south. As Kenya comes fully within Al-Shabaab’s strategic focus, it is imperative for policy makers there to understand that continued discrimination is not only morally reprehensible, but is a security problem that gives Al-Shabaab space to thrive. If Kenyan troops withdrew from Somalia today, Al-Shabaab would probably have no reason to continue expending its resources in the country and would focus its attention fully on Somalia. However, Kenyan youth who received training from Al-Shabaab would continue to be a security problem for years to come. 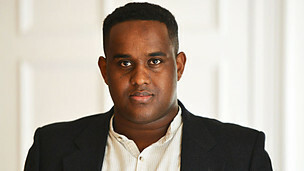 Mohamed Mubarak, a political and security analyst, is the founder of anti-corruption NGO Marqaati (Marqaati.org), based in Mogadishu @somalianalyst This article was commissioned via the African Journalism Fund. I do not see how Kenyan Muslims who have passed through Al Shabaab training camps and then returned to Kenya will simply behave themselves if Kenya pulls out of Somalia. Al Shabaab is comitted to global jihad, Kenya being in Somalia is just an excuse to take the battle further afield, something Al Shabaab was going to do regardless. If Kenya pulls out of Somalia Al Shabaab is going to harp on about its great victory which will only encourage greater sympathy and support for the movement. Maybe Kenya was wrong to invade in the first place, but it would be stupid to pull out at this critical moment. Kenya has western backing, and although it will hurt Kenya alot, in the long run, Al Shabaab has not the resources and manpower Kenya has. The problem is not Kenya in Somalia, or Kenyan policy towards Muslims in general (by the way, why are there no articles on the atrocities commited against religious minorities in Somalia?) the problem is radical Islamic ideology. Kenya needs to clamp down on the radical mosques and preachers that teach Islamist nonsense to Kenyan citizens. Moderate Kenyan Muslim leaders need to stand up and condemn radical Islamists. If the Muslim population is upset with the treatment it is getting, let it then show greater support for Kenya and not sympathise with Al Shabaab. The article reads more like Al Shabaab’s capability for terror than Kenyan security mistreatment of its Muslim citizen. Equating an incompetent security force not known to treat any of its citizens right with a Somalia group with an ambition of global Jihad is inappropriate. Improving the fragile democracy in Kenya to protect all Kenyan citizens will be the right course to take at any cost than flirting with Al Shabaab ideology of distraction for all. The author could have done a better job as a solution than adding fuel to the fire.